RSCDS Toronto is a dynamic and diverse association of 20+ autonomous social groups spread across the Greater Toronto Area and beyond. You can dance every day, and in every area of the GTA. RSCDS Toronto was founded in 1957 based on the large number of young Scottish families who came to Toronto in those days. Today, our dancers come from a variety of cultural backgrounds and age groups. Most of us are not even Scottish! What unites us is our love of Scottish country dancing. We always welcome international visitors, and new dancers. For some special events we proudly associate with the St Andrew’s Society of Toronto, a charity going back to colonial days, and with the 48th Highlanders regiment raised by the society in 1891. 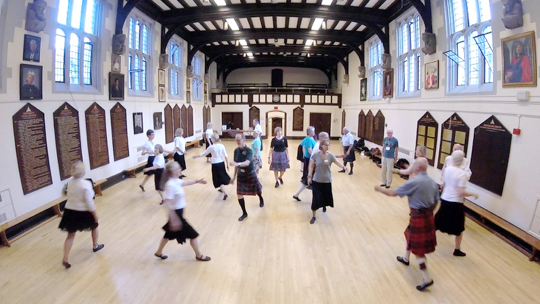 Scottish country dance is an enjoyable way to stay in shape, physically and mentally, and a great way to socialize. 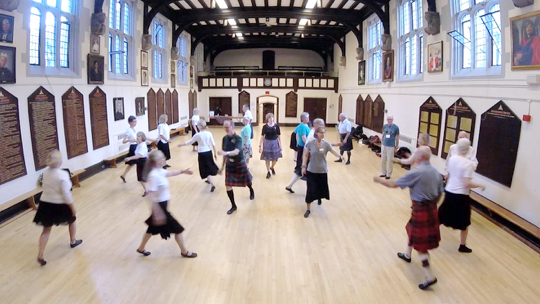 Scottish country dance groups are found throughout the world, and thus a passport to a ready-made circle of friends wherever you may visit, both in Canada and abroad. 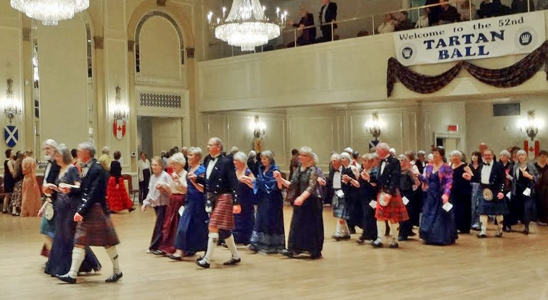 * Legally, we, in Toronto, do not have a Royal Warrant, thus we cannot use the term “royal” in our name, but we are a formal affiliate of the Royal Scottish Country Dance Society, based in Edinburgh, Scotland. 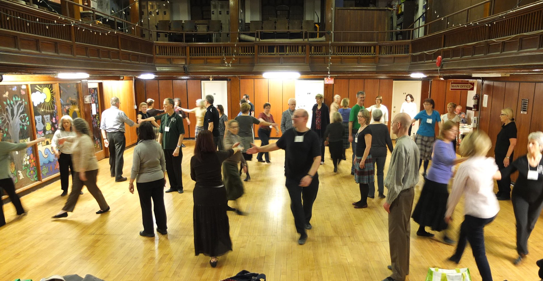 RSCDS Toronto is a non-profit affiliate of the Royal Scottish Country Dance Society, Edinburgh, Scotland. HM Queen Elizabeth is our Patron.